will earn you up to $12 per lot! Operate any trading EA, Auto-clicker or algorithm without limitation or restriction. Yadix offers regulated STP trading with high levels of protection for client's security. Low latency and direct-to-market STP execution using advanced trading technologies. Since 2010, Yadix.com has built a strong reputation for providing services targeted for Scalpers, Forex Robots and News traders. Advanced STP/ECN technology through fibre-optic connections and global data-centres on the Equinix financial exchanges with trading terminals in London provides traders with superior filling quality and fast execution. Trade with low core spreads from 0.0 pips, using the best bid/ask pricing model and STP execution. 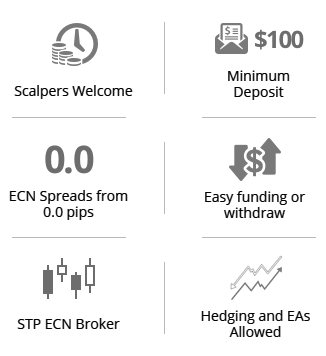 Spreads from 0.0 pips, leverage up to 1:500, micro lot trading (0.01) and low ECN commissions to help you succeed. Our systems protect you from reaching negatives and compensates by resetting any negative balances. Trade 85+ symbols over four asset classes including STP trading on forex pairs, indices, metals and energies. All EAs and trading systems can take advantage of low spreads, fast filling and no-conflicts forex trading. Benefit from a globally regulated STP broker with fund administration, audits and segregated accounts. Select from a wide range of promtions to give you extra value and higher cash rewards for your trading volumes. Select from a range of fast and secure deposit and withdrawal options available for your convenience. 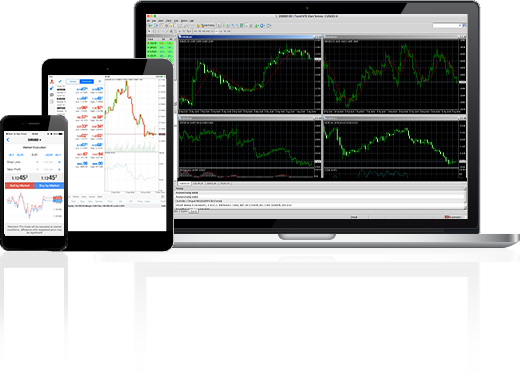 MetaTrader 4 is still the most popular Forex trading platform. Yadix offers Market Execution with no requotes, no rejections and high quality execution with no restrictions for traders to implement any trading strategy to the Forex market. MT4 remains the only platform that fully supports and helps you build successful Expert Advisors using MQL coding. Android is a popular operating system and is found on many smartphones, tablets and devices. You can now download the official MetaTrader 4 app for free from the play store to your Android device. The application allows you to login to your Yadix account, execution positions and analyse the markets using a wide range of trading tools. You can now trade on the official MetaTrader 4 application and access your trading account on any iOS device. Take control of your account quickly and while on the move to make sure you don't miss any opportunities, all you need is an internet connection to access the markets, the full range of trading symbols and built in tools and indicators. or the Classic account, with no commissions. Zero market distance levels and limits allows clients to set unrestricted SL, TP and pending orders and close scalping orders within the same second. Our unique STP infrastructure, low cost conditions and direct to markets execution allow profitable trading systems to maximise trading profits. Leading price aggregators match and execute orders, using fibre-optic connectivity directly to global banks and financial institutions without dealing desk manipulation. High capacity MT4 Bridge executes trades in milliseconds to liquidity providers using the best bid/ask model, and our aggregator displays the lowest spread on MT4. Orders are filled to inter-bank FX exchanges on a “Fill or Fill” basis with no last look and no re-quotes and no broker intervention for pre and post-trade transparency. Client’s positions and strategies are protected with 100% anonymous execution to the priced matching execution venue (Liquidity Provider) to protect from stop hunting.